Appoint us as your trip planner and experience the utmost convenience of booking railway tickets by simply sitting at home. Give us your journey details including dates, preferred route & train and a number of seats required; we assure to make reservation accordingly. Well-versed with the Indian Railways Ticket Booking System, we provide the ease of urgent and advanced ticket booking. 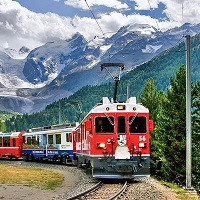 Travel Gr8 is a Darjeeling (West Bengal, India) based travel agency and can be useful to booking rail tickets to travel anywhere across the nation. So, avail our services and make the process of traveling easier and convenient.